Yuting Yang was a 9th graderin 2008-09. She was born in 1993. His father died long time ago, and she lives with her mother. She has been sponsored by Mr. and Mrs. Adem since 2004. Yunjie Lin is a 9th grader in 2008-09. She was born in 1993. She suffers from diabetes. Her mother is not able to work because of rheumatism. 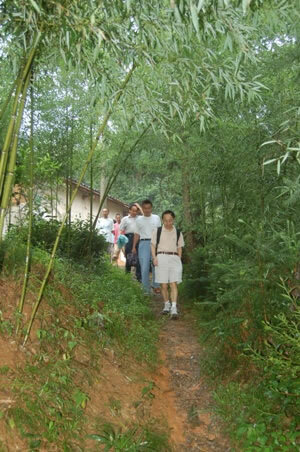 She has been sponsored by Xiaofang Sun Yingchun Xu since 2004. 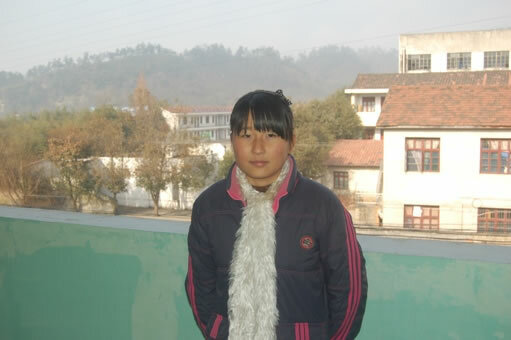 Yangli Cheng is a 9th grader in 2008-09. Her father died and her mother left. She live with her grandparents. She was born in 1994. She is excellent in school. She has been sponsored by Jasmine Yan since 2006. 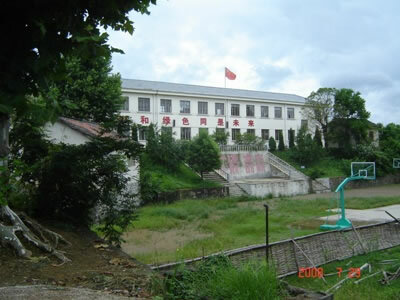 Yinghao Xu is a 9th grader in 2008-09. He was born in 1993. His mother died of disease in 2001 and left the family $2500 debt. 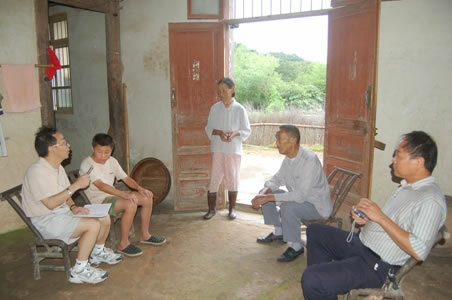 Baofeng Zhu(left) is a 6th grader in 2008-09. Her mother is handicapped. Her father is weak. She is excellent in school. 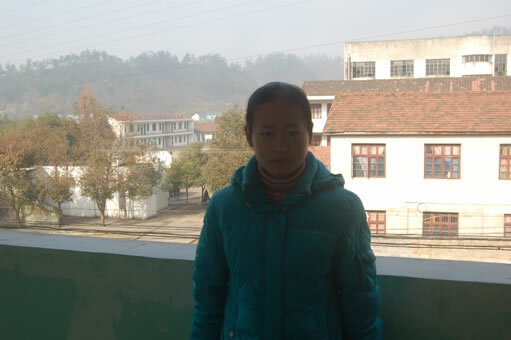 She has been sponsored by Yi Yang & Chong Chen since 2007. 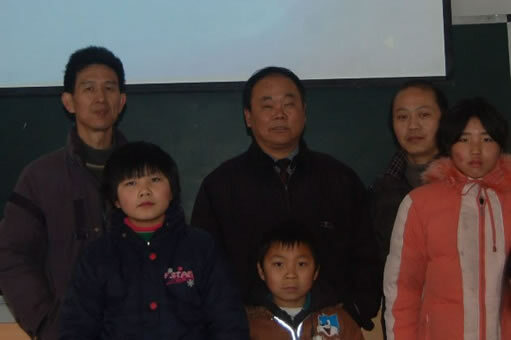 Linjin Shi (middle) is a third grade in 2008-09. His father died of car accident, and her mother died of disease. He lives with his aging grandma and depends on his uncle's limited help for living. 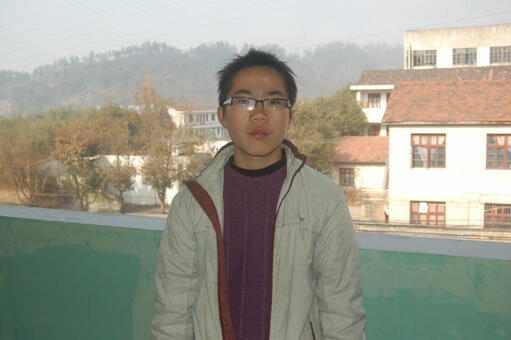 He has been sponsored by Mr. Guoyi Xu since 2006. Wei Zhu(right) is a 4th grader in 2008-09. Her father is sick and can not work at all. Her brother is at high school. Her mother does odd jobs to support the family. She is studying hard at school. She has been sponsored by Brian Lu since 2007. 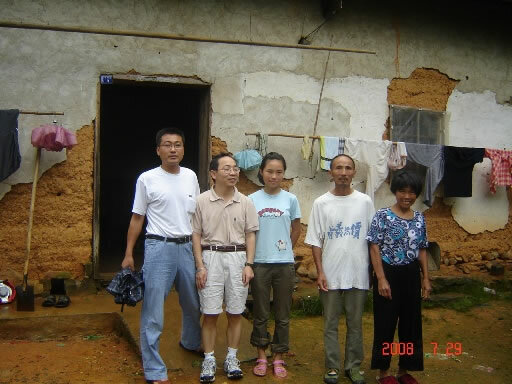 Among the top three, two are volunteers and one (right) is a teacher. 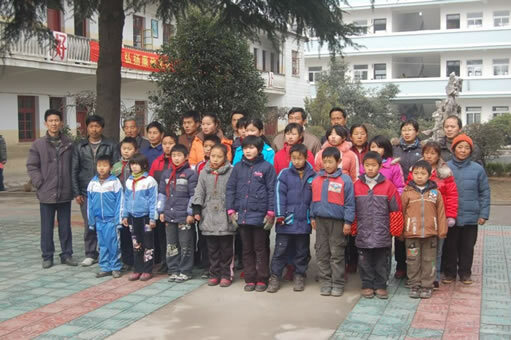 Most students in Zhong Xi Elementary School supported by us in 2008-09, and their caregivers. 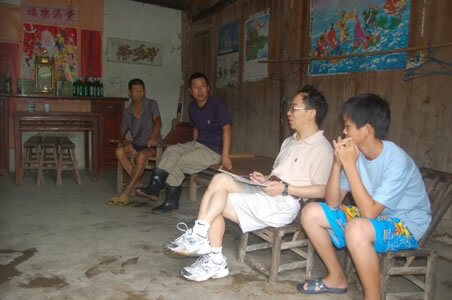 The left most is Mr. Jining Hu who is in charge of the operation in Ningguo. He works extremely hard to make sure that everything is right and works long hours all for free. He is an amazing person. Zheng Chen is a 8th grader during 08-09. He was born in 1994. He lives with his father, who is mentally ill and needs medicine to control his mood. His mother left and remarried. His family has no income, and he often does not have breakfast like the day we visited him. 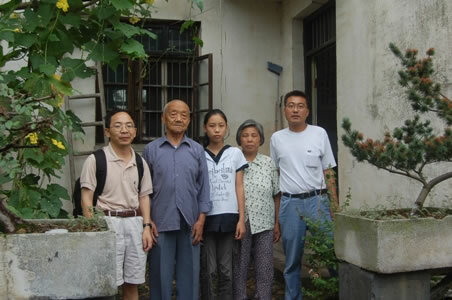 His grandparents (in photo) live nearby and help him a little from time to time. He behaves well in school and is so-so in terms of study. Hui Yu is a 8th grader during 08-09. She was born in 1994. She lives with her parents. Her father has had two surgeries and can not do heavy work. Her mother has stomach problem and is slightly retarded. 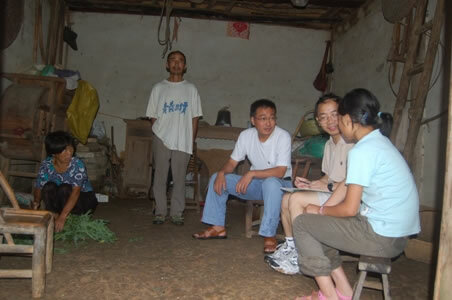 They depend solely on the farm income of about 2000 yuans ($300) a year, plus a little subsidy from the government. She is quite helpful at home to her parents, and works hard in school. She is above average in study. 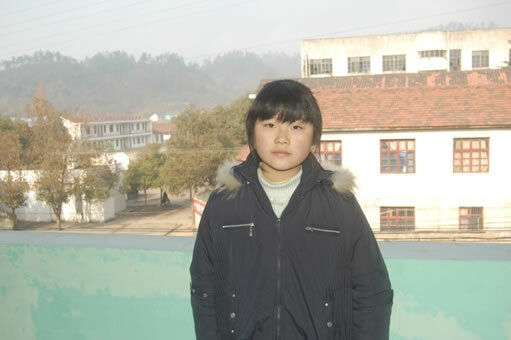 Yaqin Zhang is also a 8th grader during 08-09. She was born in 1994. She lives with her aged grandparents of 80s. Her father died in 1998. Her mother remarried and left. The family depends on her grandpa's retirement pension. She is excellent in school. She likes sports, English, singing and dancing. 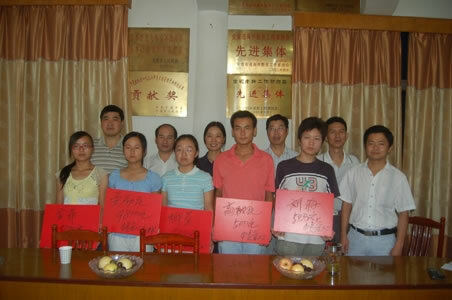 Both Shuming Gao and Limin Yan worked as tutors of high school students to earn some money for their college life. Others worked at home to help their families, and found some other ways to earn some money for their college life. They appreciate all your support very much. 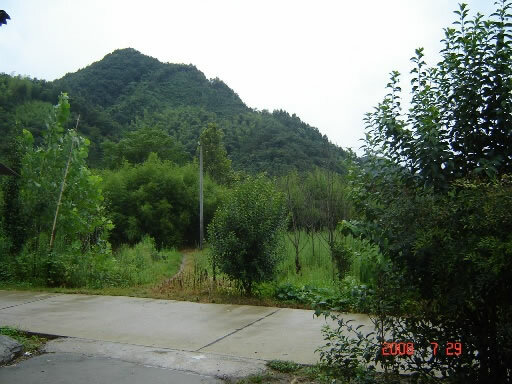 Newly built road in Mei Lin, the place we visited. Nice View in the countryside.